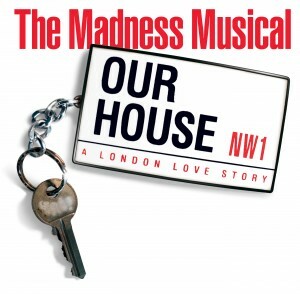 THE Yvonne Arnaud Theatre will be transformed into the House of Fun when youngsters from Guildford School of Acting stage Our House: The Madness Musical from Saturday 12 March to Saturday 19 March. The musical based on the songs of chart-toppers Madness won the Olivier Award for Best Musical when it was staged in the West End in 2003. The story follows Joe Casey, a Camden lad whose life is strikingly altered by a decision made on the night of his 16th birthday. In an attempt to impress Sarah, the girl of his dreams, he breaks into a building development that overlooks his home but, when the police arrive, he has a choice to make which splits him in two. The ‘Good’ Joe gives himself up, while ‘Bad’ Joe scarpers, leaving dream girl Sarah to make a run for it from the police. Using Madness’ hit songs, including My Girl, Baggy Trousers, House of Fun and It Must Be Love, the show follows the two Joes through seven years of alternate lives. For more information and to book tickets visit the Yvonne Arnaud website at yvonne-arnaud.co.uk.